I took advantage of the time the other day since our appointment was all moved in the late afternoon. I've edited and watermark some pictures. Yey! It means, pictures are ready and I'll just do the draft. I feel like I'm neglecting my blog so much for not posting reviews, OOTD and nail posts. Oh I hope you liked my latest review of a natural product here and my latest OOTD post here. I also got to clean my closet. Wohoo! Have you seen my preloved items for sale? You may find some items that you like, click here. Haven't I mentioned that I'm a fan of Wet n Wild lipsticks? I guess I hadn't. 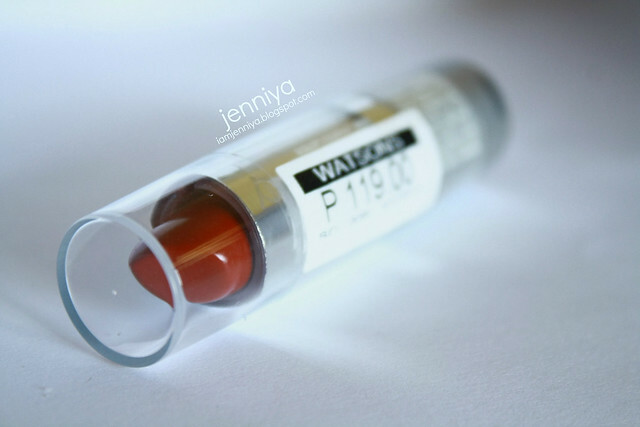 Well, today's post is about a lipstick again from this brand. 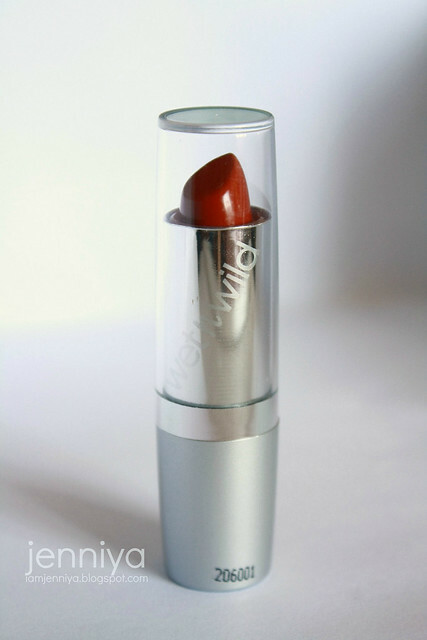 I already reviewed the Megalast lipstick here and the Silk Finish here. So, today's post is still from the line of the latter but a different shade of course. If you want to see the other Silk Finish I got, click here, here & here. The last time I bought Wet n Wild Silk Finish lipstick, it was only priced at Php99.00 but that was 2 years ago, so I think the increased price is reasonable. The retail price now is Php119.00. Still a steal price eh? I don't know when they started putting the shade name at the bottom label but I am really, really glad they finally labeled it on the tube itself. The old ones I got hasn't. ... It brighten up my face. ... My teeth look whiter. ... It doesn't have an odd smell. ... Not drying on the lips. Taken using iPhone 5 (the picture is cropped already, hence pixelated and grainy) without camera flash under natural lighting near the window. Taken using iPhone 5 without camera flash under a fluorescent light inside the bathroom. If you have read my review of Cherry Frost, this Cinnamon shade is similar to it but this one is obviously darker. This Silk Finish lipstick has thin coverage yet it looked like it has thick coverage. It is because all reds are opaque. With the strong and vibrant color of it, you cannot determine if you've put too much or just enough. 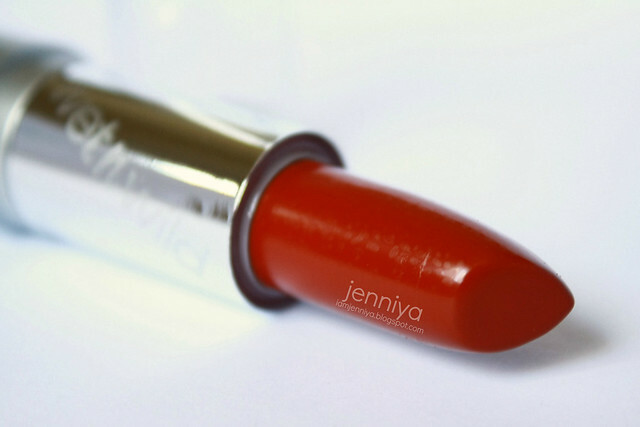 In just one swipe, you can opt to wear it alone and confidently go out and paint the town red. Lol! I kid. Well, Reds can instantly brighten up a face and make your teeth whiter. Anybody can wear red lipstick and look great on it provided you know your skin tone so that you can choose what shade of lipstick will look best on you. To determine your skin tone, click here. 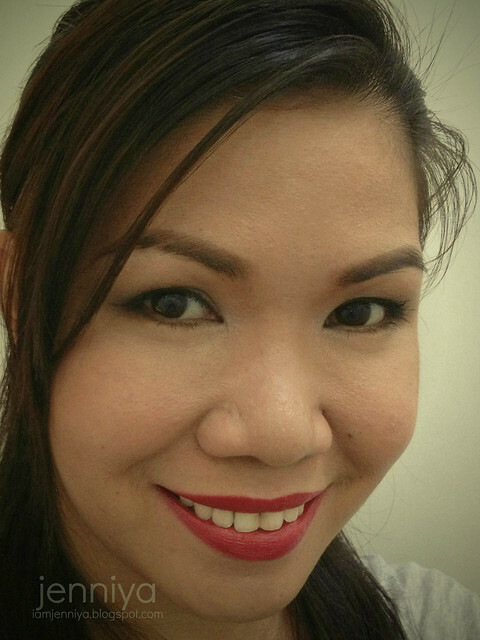 I have medium skin tone (or morena) that's why I picked this shade of red lipstick. This Cinnamon is deep red with a hint of gold and brown and it complement my warm complexion. This lipstick is good for 4 hours. After that, the shade isn't that vibrant anymore. It transfer easily like when I drink and it fades when I eat and leave with uneven stain. 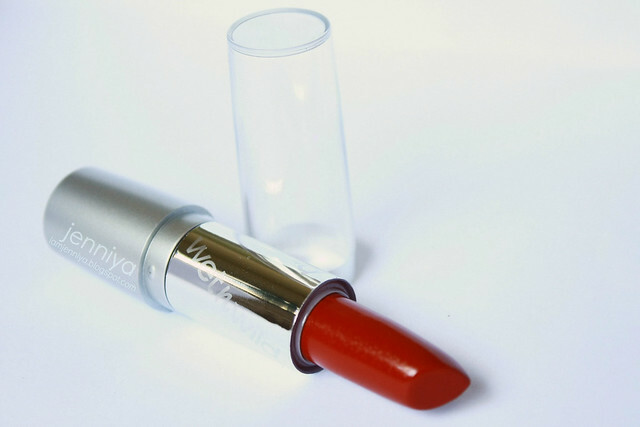 The lipstick has conditioning ingredients of Vitamins A& E and Aloe Vera that make your lips looking moist which I sometimes find annoying because it looks so glossy. I can make it matte though by blotting my lips with tissue and brush it up with a powder. Then, re-apply the lipstick and re-blot again. It makes the lipstick stay longer, too. Don't forget to use lipliner because this one bleeds. What Wet n Wild lipstick have you tried? Wow girl... amazing lips and great color!!!!! wow, awesome color! Looks gorgeous on you! Thanks for sharing such a nice post! love the silky texture and its pretty color! I've used wet and wild eye shadows before but not lipsticks - looks great! idk why you dont see me on your list. but i saw your blog feed on my dashboard. maybe its because that I followed you privately. 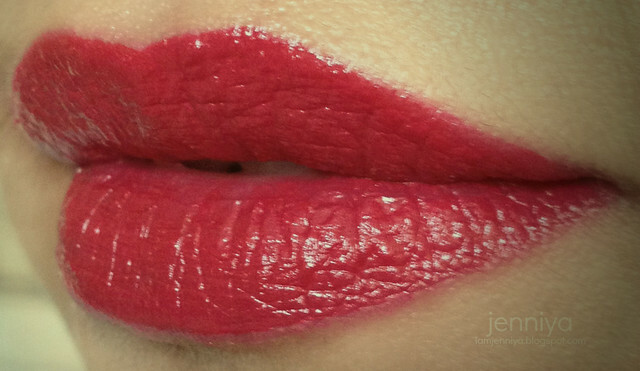 I am so tempted by this one, though I rarely use lipsticks :D. It looks fab on you. Oh really beautiful color of lipstick! what I love about it is it last long than other lipstick brands..